Bhopal, Aug 19. 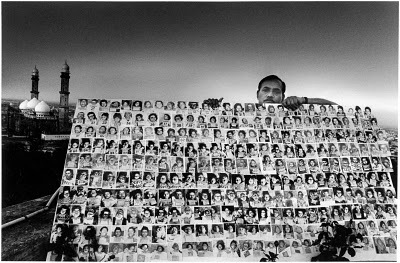 Posted at 08.26 AM IST : The inquiry commission set up by the Madhya Pradesh government to investigate the causes and consequences of the Bhopal Gas disaster of 1984, has invited information from the people. The commission has been set up in the wake of the court verdict in the issue last year in June. The CJM court had convicted the then Union Carbide india Ltd. (UCIL) chairman Keshub Mahindra and six others for causing death by negligence. Each one was awarded a sentence of two years imprisonment. The verdict had come twenty-six years after the world’s worst industrial disaster that killed an estimated 25,000 people in Bhopal. The unhappy and agitated people over the ‘unjust’ verdict in the case created a worldwide agitation forcing the state and the union government to reconsider its insensitive attitude and do something to save the situation. Hence, the union government of India decided to a) offer a little more compensation to the victims and b) apply before the Supreme Court for the reopening of the case against the killer Union Carbide company. However, the half-hearted attempt of the government of India fell flat in the apex court, which preferred the case to be heard in the Bhopal district court once again. The state government, on its part, did constitute an inquiry commission to investigate a fresh the entire issue of the disaster. The commission headed by Justice S.L. Kochar is expected to probe the causes of the tragedy and the role of the then state government and other people vis-a-vis the accused. The commission would also investigate whether the Carbide plant was issued license as per the rules and whether it had adequate safety arrangements in place to avoid any possible accidents. The issue of the safe disposal of the chemical waste from the plant was taken care off or not, too is covered under its ambit. It also is suppose to probe the controversial release of Union Carbide Corporation Chairman Warren Anderson’s arrest and mysterious release within hours in Bhopal on December 7, 1984. It may be recalled that the first commission constituted to investigate the similar issue, Justice N.K.Singh Commission, was abandoned halfway in 1985. No justified reason was offered by the state government at that time.